DALLAS, Oct. 2, 2017 /PRNewswire/ -- Ken May, leader of U.S. operations for global sports entertainment brand Topgolf®, today announced he is retiring this month following his four-year tenure with the company. Topgolf Entertainment Group (the dba for Topgolf International, Inc.) Co-Chairman and CEO Erik Anderson will assume May's responsibilities. "We are forever grateful for Ken's countless contributions and achievements, as he helped shape the Topgolf culture and drive our growth," said Anderson. "While Ken will be greatly missed, Topgolf has a strong and well-rounded leadership team. Rest assured, anyone who is recruited for a Topgolf leadership role will be a very special individual who embraces our Topgolf culture." May, 56, came out of retirement in August 2013 when he joined Topgolf as COO. 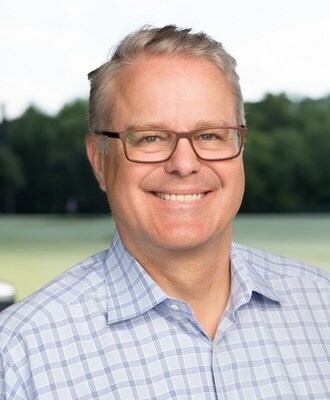 He was promoted to CEO of U.S. venue operations less than a year later and helped lead Topgolf through 24 venue openings and a quadrupling of the company's workforce. This summer, May earned the #61 spot on the Highest-Rated CEOs list list on Glassdoor.com. Prior to Topgolf, May enjoyed a three-decade career that included stints as CEO of FedEx Kinko's, President of Krispy Kreme and Chairman of the March of Dimes National Board of Trustees. "Working for Topgolf has been one of the greatest joys of my life, and I am very proud of the company's incredible growth and passion for bringing people together and creating moments that matter," May said. "I look forward to cheering on the company as it begins this new chapter." What started with twin brothers developing a technology to make golf scoring fun has turned into a global brand focused on connecting people in meaningful ways. Today, Topgolf continues to blend technology and entertainment, golfers and non-golfers, children and adults to create an experience that makes socializing a sport for everyone. No matter the occasion or who you share it with, we believe every great time starts with play, is fueled by food and beverage, moved by music, and made possible through community. Every Topgolf venue features dozens of high-tech, climate-controlled hitting bays for year-round comfort, a chef-inspired menu for year-round deliciousness, and hundreds of Associates eager to help create the moments that matter. With 34 venues entertaining more than 10.5 million Guests annually, original content shows, next-gen simulator lounges, competitive tours, pop-up social experiences, and the world's largest digital golf audience, Topgolf is truly everyone's game. To learn more and view exclusive digital content, follow @Topgolf or visit www.topgolf.com.